What is Oatmeal & Aloe Vera Conditioner? 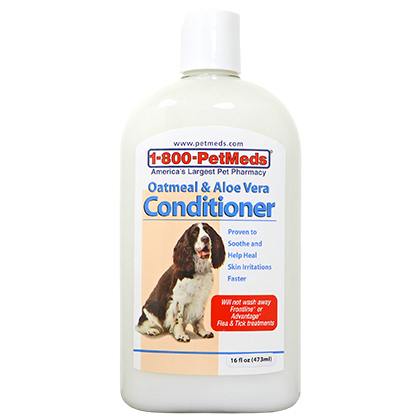 1-800-PetMeds Oatmeal & Aloe Vera Conditioner provides relief from skin irritations, promotes healing, and re-moisturizes dry skin. 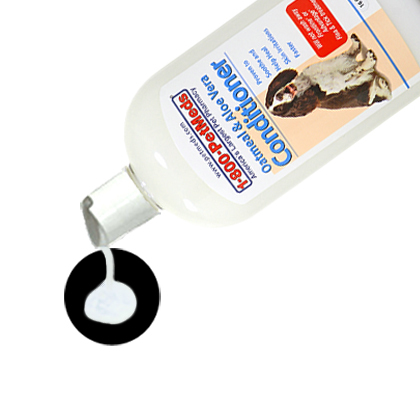 It is formulated specifically to match the pH of your pets skin and will not wash away flea & tick preventatives. Made in the USA. For the best results, combine 1-800-PetMeds Oatmeal & Aloe Vera Conditioner with our 1-800-PetMeds Oatmeal & Aloe Vera Shampoo. 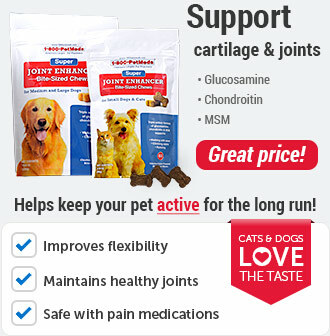 Buy the 1-800-PetMeds Oatmeal & Aloe Vera Combo Pack and SAVE! Water, Stearalkonium Chloride, Aloe Vera Gel, Hydroxyethylcellulose, Glycol Stearate, Polysorbate 20, USP Colloidal Oatmeal, Propylene Glycol (and) Diazolidinyl Urea (and) Iodopropynyl Butylcarbamate, Fragrance, Tetrasodium EDTA. 1-800-PetMeds Oatmeal and Aloe Vera Conditioner provides relief from skin irritations, promotes healing, and re-moisturizes dry skin. 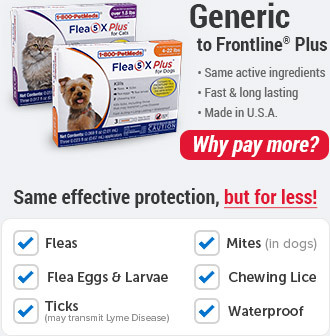 Will not wash away flea and tick medications such as Frontline® or Advantage®. 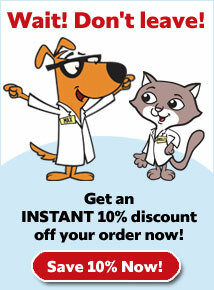 1-800-PetMeds Oatmeal and Aloe Vera Conditioner is a non-prescription (OTC) product. 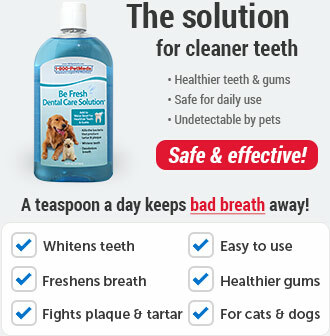 Safe for use on dogs, puppies, cats, and kittens, 12 weeks of age or older. After shampooing, apply conditioner and massage deep into coat and skin. Rinse well. Allow pet to stay indoors until thoroughly dry. 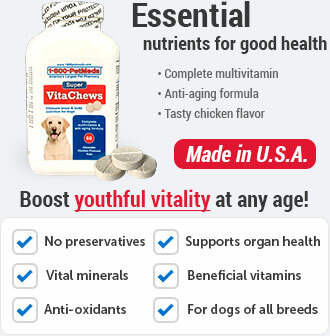 Contact a veterinarian or veterinary emergency room if taken internally. Store this product at room temperature. Store in the original container. Keep out of the reach of children. 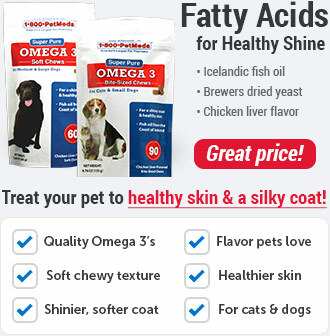 1-800-PetMeds Oatmeal and Aloe Vera Conditioner is recommended to provide relief from skin irritations, promote healing, and re-moisturize skin. Allow pet to stay indoors until thoroughly dry. After shampooing, apply conditioner and massage deep into coat and skin. Rinse well. Other Ingredients: Water, Stearalkonium Chloride, Aloe Vera Gel, Hydroxyethylcellulose, Glycol Stearate, Polysorbate 20, USP Colloidal Oatmeal, Propylene Glycol (and) Diazolidinyl Urea (and) Iodopropynyl Butylcarbamate, Fragrance, Tetrasodium EDTA.